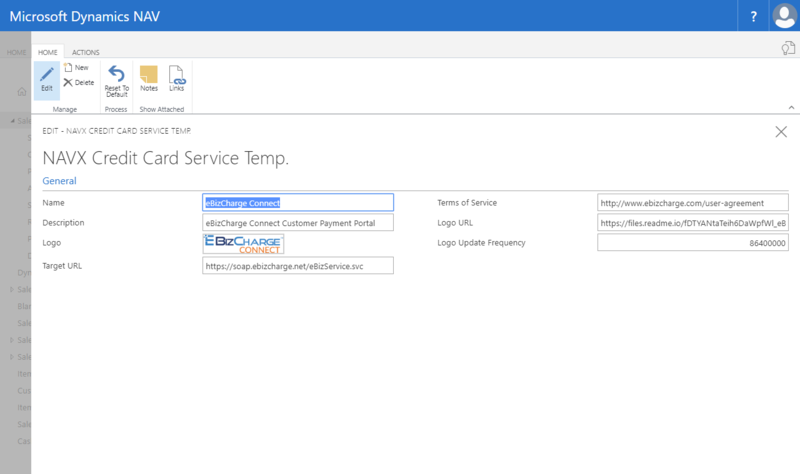 Microsoft Dynamics NAV has the capability to define Payment Services to allow customers to pay invoices. NAV-X Credit Card utilizes this functionality to allow your customers to pay an invoice even though they do not want to give you their credit card information. The Credit Card Service Template is the template for the payment service related to credit card payments. Changes to the template are typically not required unless you would like to change the logo that is displayed in the page, for instance.